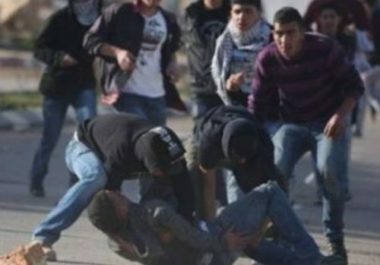 Israeli soldiers invaded, Saturday, the al-Isawiya village, northeast of occupied Jerusalem, and broke into a local school, leading to protests, before wounding many Palestinians with rubber-coated steel bullets, gas bombs and concussion grenades. Media sources in al-‘Isawiya said dozens of soldiers invaded the village through its eastern entrance, before attacking and storming a local school in ‘Obeid neighborhood. They added that many students hurled stones and empty bottles at the soldiers and tried to barricade themselves with desks and chairs. The soldiers fired dozens of rubber-coated steel bullets, gas bombs and concussion grenades. Medical sources said several Palestinians were injured by rubber-coated steel bullets, and fragments of concussion grenades, while many others suffered the effects of teargas inhalation.